Mosaic Properties Inc strives to create and deliver unique spaces filled with visual interest, quality and creativity. The company combines a profound understanding of the art and science of building with a mission to create unique, playful, colourful and cool condominium spaces that stand out visually and architecturally to the public. The result has been a growing collection of well branded imaginative and successful multi-family, mixed use developments. 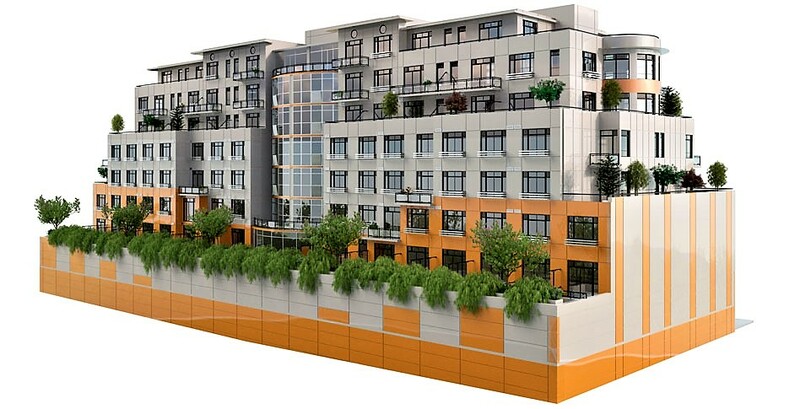 Mosaic Properties Inc is best known for developing the Reef Condominium, the Mosaic and Jigsaw lofts in Victoria BC, as well as the Mosaic Condominium in Portland. With a very "hands on" approach and over three decades of experience and diverse talents, co-founders and developers Don Charity and Fraser McColl focus on creating and developing innovative one of a kind buildings. Continuing with its mission to create unique, one of a kind living spaces that stand alone visually and architecturally, Mosaic Properties Inc. has a new contemporary condominium project under construction. The Jukebox on View is MPI'S new addition to its signature series. Always striving and daring to be different, the nine story high rise condominium has been designed with the intent to bring colour and eye candy to the Harris Green neighbourhood. Measuring in at a total of approximately 128,000 square feet, the building features 215 live/work units ranging in size from 338 to 850 sq. ft. complemented by 12 street level ground floor commercial units. 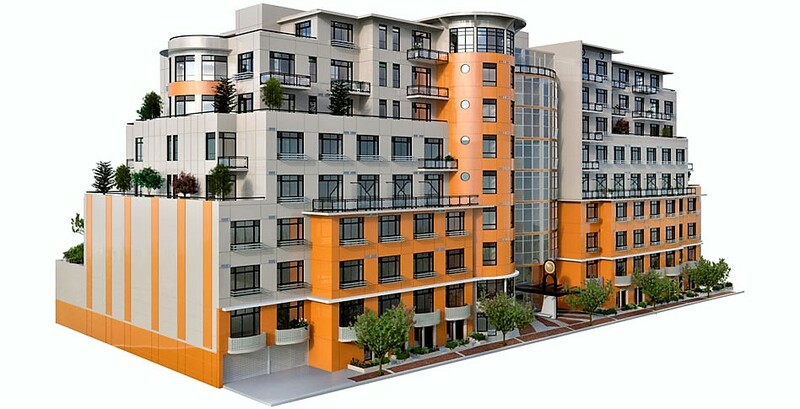 Its prime location is geared towards providing an exciting sophisticated city lifestyle in downtown Victoria. The Jukebox sits steps away from unbelievably easy access to a connecting network of bus route in the Victoria Public transportation System including direct routes to the University of Victoria. Offering the best of both worlds, the Jukebox is located in a quiet corner but is minutes away from restaurants, coffee shops, markets, bakeries, shopping, theaters and walking distance to the heart of downtown Victoria and city nightlife.